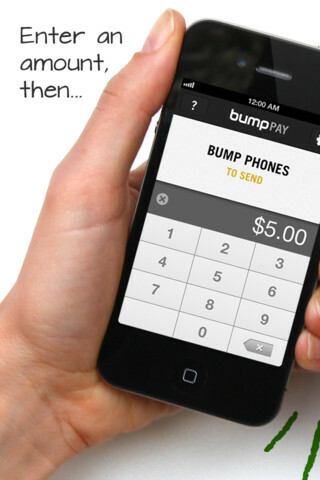 Bump is one of the first "wow" apps that was ever released on the iPhone. In case you're not familiar with it, it lets you transfer your contact information to somebody just by physically bumping your phones. 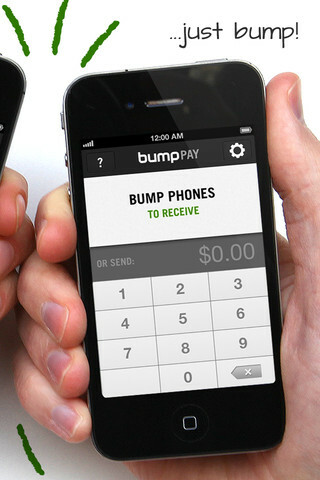 Bump Pay uses the same Bump technology and now lets you pay somebody just by bumping phones. Using it you can easily send and receive money in person with anyone who has a PayPal account. It doesn't even require any setup, all you need to do is sign in with your existing PayPal account. Then just type in an amount and bump phones with the person you want to transfer money to. That's it, PayPal then securely handles the payment. 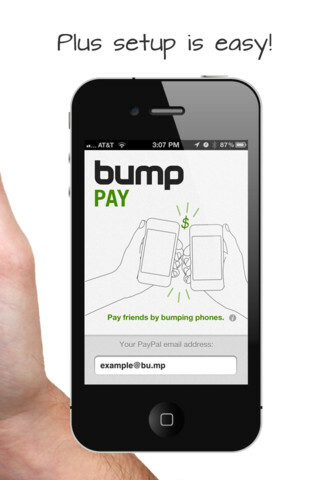 Not only is Bump Pay free, if you have your PayPal account linked to a checking account, the entire transaction is free.